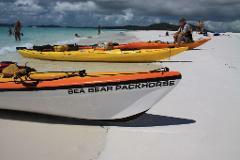 Sea Kayak over fringing coral reefs and explore nearby tropical islands. Encounter sea turtles and soaring eagles. Have a break at nearby White Rock, with is time to swim, snorkel or just kick back and relax. 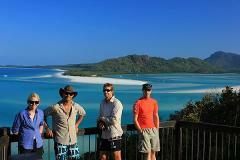 Hire a sea kayak and explore the Whitsundays at your own pace. Hire for 1/2 day, 1 day, 1 week or even longer! Contact Salty Dog Sea Kayaking to discuss options. prior to booking if unsure of any details. 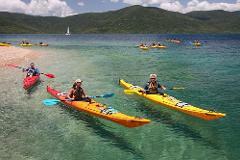 Guided kayak to to South Molle Island.